Photo attached showing a 11,000 ft mezzanine floor in the final process of installation at a large distribution centre in London. A secure Mezzanine Guard edge protection mesh partition has been installed around the perimeter to provide a secure cage facility The mezzanine is installed over the incoming Goods In and Out bays and full column guard protection has been installed. A mezzanine floor could solve your space problem. 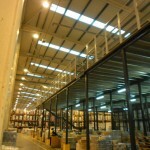 A mezzanine floor is the cost effective answer to utilising wasted vertical space. When designed and constructed by Storage Concepts’ mezzanine experts, a mezzanine floor could provide your facility with a completely modern, bespoke storage/production/office area. 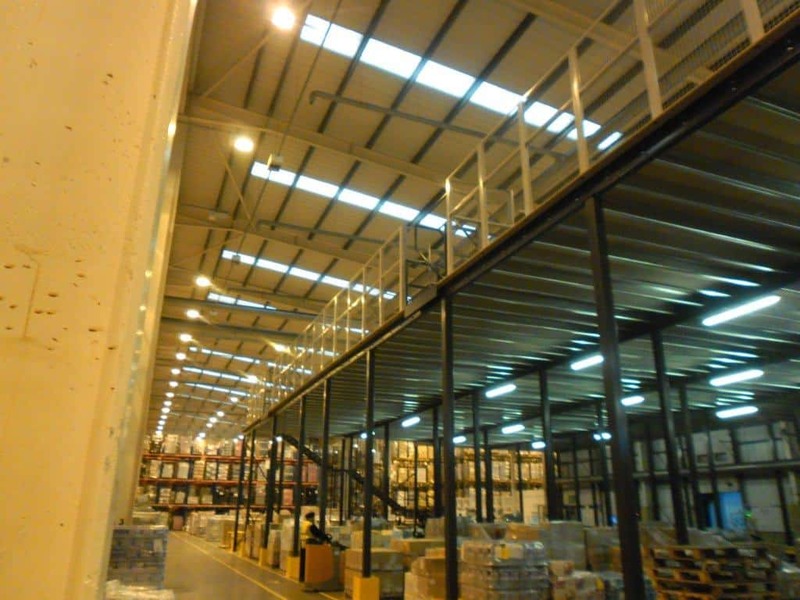 Our mezzanine team has a vast amount of experience of designing and building mezzanine storage areas, warehousing, production facilities, retail areas, offices and showrooms that match your organisation’s requirements exactly. We are a Midlands based company, and our showroom is located in Melton Mowbray, Leicestershire. For more information on our Mezzanine floors, please use the website link or call us today using the contact details below.